This topic contains 2 replies, has 2 voices, and was last updated by admin 5 months ago. I have the error “You have reached the limit of the websites that you can activate.” on this website but I didn’t activate any website, can you help me? Send screenshots of the plugin’s “Activated Forms” tab and the “Export” tab with the form and field map layout selected to support AT formidablepro2pdf DOT com, be sure to include at least the first two rows of the field mappings. 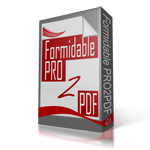 Send screenshots of the plugin’s “Activated Forms” tab and the “Export” tab with the form and field map layout selected to support AT formidablepro2pdf DOT com, be sure to include at least the first two rows of the field mappings. Or complete this form to have us login and take a look at your installation.